I have been so wrapped up lately trying to replace desktop software with web apps that I haven't looked into desktop feed readers for a long time. I used Firefox live marks until I realized that 700 feeds will slow down the browsing experience. After that I went to Google Reader and have kept my feeds there for a while. I maxed out Google Reader with Monkeyscripts to the point it runs real lyslow and then I went to the mobile version in the sidebar of Flock. But after I have seen what some desktop feed readers can do, I may be changing my mind about Google Reader. And a few will synch with Newsgator online so you don't lose that "Access Everywhere" feature of Google Reader. This is not an exhaustive list, but just the few I found that went above and beyond the average features to a few you might not have thought of, but now you really must have. And I put free in the title because I actually found a few nice feed readers that cost. I downloaded this on a lark a few days ago. I figured if so many people liked it, I would give it a try. Google Reader was running really slow on refreshes and switching folders. Running my own web-based reader may not be faster in the the directory of a live site but running a desktop feed reader may be more responsive. Within a few hours I had all my feeds in folders, something that would have taken forever on Google Reader. 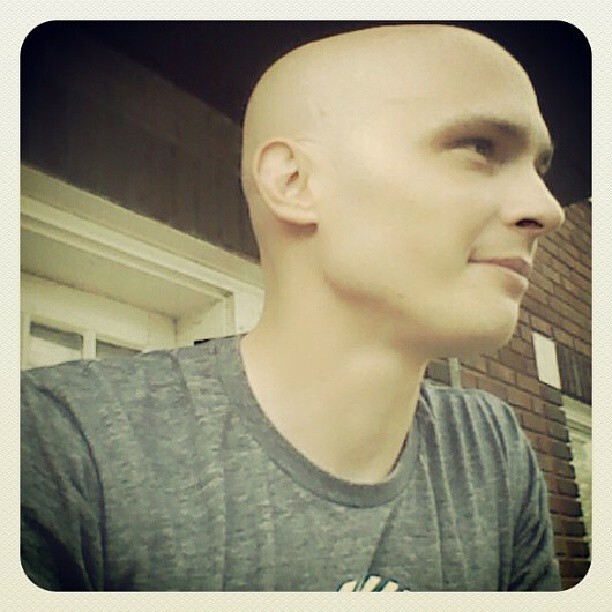 I then created three custom filters on the topics I now cover at three of my blogs. I then took the feeds of the top and upcoming stories of the social sites I visit and through them in one folder. I took the comment feeds of my blogs and put them in a To Do Folder along with the feed of the gmail account I use specifically for contact forms and social network friend requests. I might add a ReminderFeed in there. I am going to turn whatever I can into a feed. Your schedule, your contacts, your news rebuilds on the fly via one OPML file. 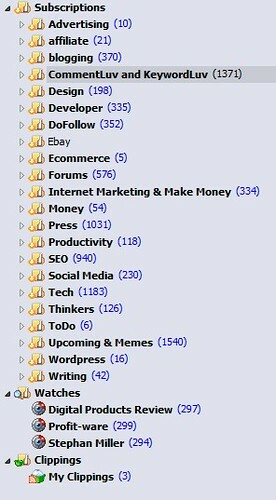 You notice a DoFollow folder, this is growing via using Fast Blog Finder. There's sliced bread in there somewhere. So this is the best thing and sliced bread, if you need everything in one place. I have to admit that I have been looking for a way to minimize the amount of inboxes I have. But for now I have Thunberbird set up perfectly so that everything goes to the right place and I can usually blast through my emails in about 10 minute. This one will download, permanently store and index thousands of feeds. It is cross-platform and uses a MySql database, which means that you can run the feed database in one location and access it via a user interface from multiple locations. It also has a smart rating system built in that learns what you like over time and picks items of interest for you. Great for a data junkie. If you know you read something somewhere in one of the blogs you subscribe to, you will find it in Aggrevator. Awasu downloads and archives all feeds. It also synchronizes with third party feed readers like Google Reader, Bloglines and Gregarius. It can use Internet Explorer or Mozilla as the embedded browser to give you a choice. It archives all feed content and has an advanced search engine. You can set up search agents and search channels. There is a feature called a workpad that allows you to annotate feeds items and put all of this together in a report. Another features of Awasu is plugins. With these you can have Awasu do a lot of other things like update databases and send emails. There is even a webscraper plugin to subscribe to pages without feeds. This was a feed reader I used back in the day. Now it supports a multitude of languages. It will subscribe to newsgroups like they are feeds. It synches with NewGator online so you can access your feeds anywhere. There is a nested categories feature. It is the only feed reader I've seen with it. It gives you the ability to post comments from the reader. This is one I will still use. It is a random feed ticker. It pulls random items from your feeds and runs them news ticker style across any border of your screen. I find I comment more when I have very random choices. I got sidetracked by all advances web apps have made and went looking for an online solution. I am happy with this solution for now and want to look into more options of turning email and other inboxes into feeds and bringing everything to one place. A feature I would like to see is the ability to create watches that include one or any number of the folders, instead of just searches of all subscriptions.